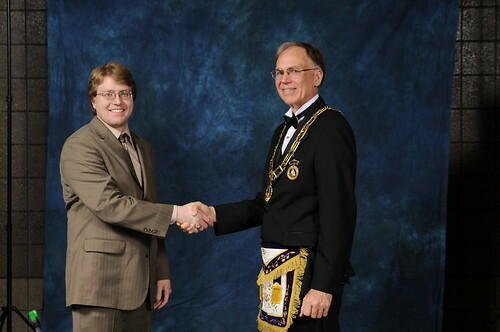 My dad and I were fortunate enough to have time to see the Grand Lodge Officers' Installation this year. Most Worshipful Brother Tom had a wonderfully moving speech (by moving, I literally mean he walked for most of his speech.) At the end of his presentation, he invited all the guests at the end to shake his hand and receive the Grand Master's pin for this year. Most Worshipful Brother Tom is a great believer in the Craft. 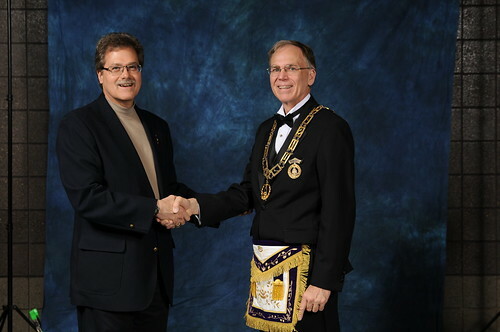 He describes Masonry as a Way of Life. I completely agree. I wish the Grand Master and the other Grand Lodge officers a great year.